It's been more than five years since all five FCC commissioners left Washington, D.C., in an official capacity to hear how the agency’s policies affect real people. The public is invested in the future of the open Internet and wants to have a voice in this debate. Give the public a real opportunity to meet with you face to face. Please schedule meetings in communities around the country before you vote on this plan. What do you want the FCC to do for you and your community? Hey FCC, Let's Talk About Net Neutrality! FCC Chairman Tom Wheeler wants to allow discrimination online — even though millions of people have told the FCC to protect real Net Neutrality. The agency will vote on the chairman's plan by the end of the year, and we need to be sure the FCC is listening to the people it's supposed to represent. It's been more than five years since all five FCC commissioners have left Washington in an official capacity to hear from real people. We need them to visit our communities for public hearings on Wheeler’s proposal. 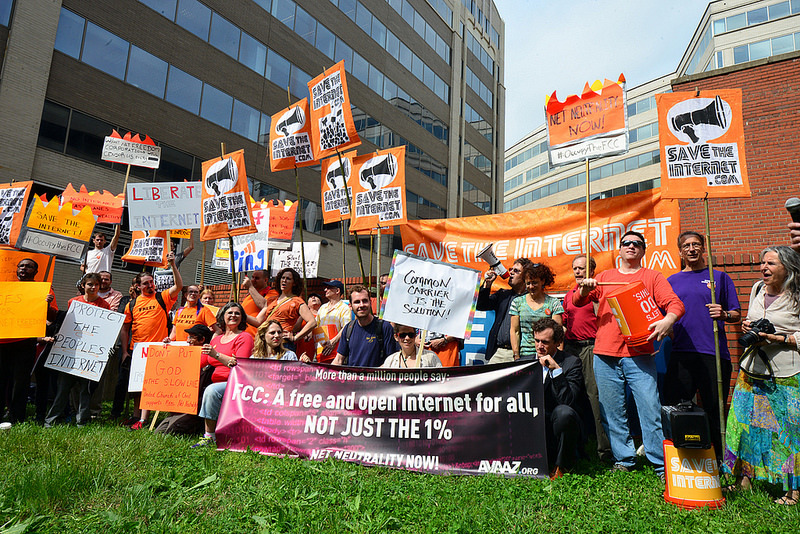 Help Us Break the FCC Out of the Washington Bubble. Invite the FCC to Your Community!